Product prices and availability are accurate as of 2019-04-13 05:16:57 UTC and are subject to change. Any price and availability information displayed on http://www.amazon.com/ at the time of purchase will apply to the purchase of this product. 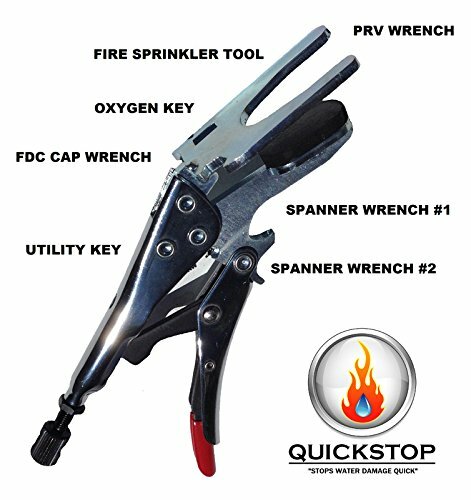 The Quickstop Multi-Tool is the FIRST AND ONLY fire sprinkler multi-tool on the market. It gives firefighters the equipment they need to attack commercial and high-rise fires and it stops fire sprinklers. The tool can be used to remove FDC caps, make standpipe connections, shut off residential utilities, adjust system pressures (PRV), open oxygen cylinders, blocks doors open, and stop fire sprinklers. Attaching a multi-tool to your high-rise hose packs gives your firefighters the equipment they need on the fire floor when they need it most. Quickly stopping the water at the head, allows the remaining fire protection system in the building to operate while crews check for extension of fire or search for main the water shut off. The Quickstop Multi-Tool also reduces building damage which results in less clean up for fire crews and shorter on scene times. 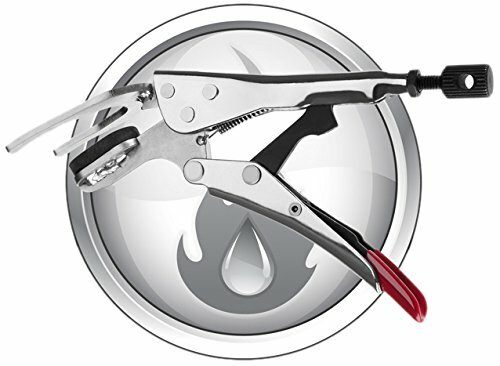 The Talon and Multi-Tool are the only sprinkler tools that stop 1/2" and 3/4" heads whether they are intact, damaged or completely sheared. Tested up to 350 PSI.